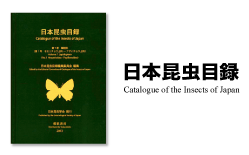 Higaki, Morio and Yoshikazu Ando: Seasonal and altitudinal adaptation in three katydid species: Ecological significance of initial diapause. Ohno, Kazuro: Brood guarding in Trissolcus plautiae (Watanabe) (Hymenoptera: Scelionidae), an egg parasitoid of the brown winged green bug, Plautia crossota stali Scott (Heteroptera: Pentatomidae). 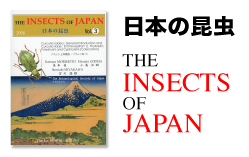 日本昆虫学会 The Entomological Society of Japan All Rights Reserved.